We currently run courses for non-members in association with the Eden Project. If you are a member, please see our Events pages for specialist courses you can sign up to. For Spring 2019 we are running two 3-Day courses. All courses are held in the fantastic surroundings of the Eden Project Mediterranean Biome. Laura Silburn will teach the course. Courses are suitable for complete beginners or intermediate artists. Join Laura Silburn from The Eden Project Florilegium Society for a special three days at the Eden Project, where she will guide you through the techniques of graphite drawing and shading and how to turn this into a finished watercolour painting. Below are past courses we have run with The Eden Project. 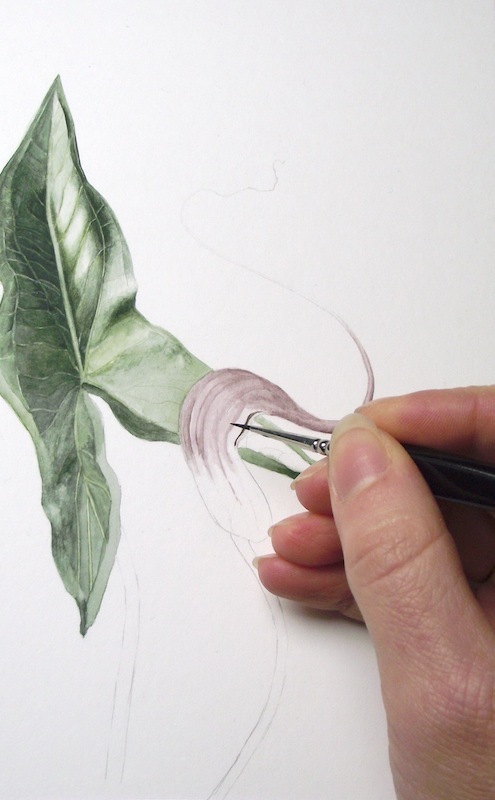 This new course will go through everything you need to record to create a botanical study page. This can then be used to produce an accurate piece of botanical art although a study page can be an attractive work of art in its own right.